Enchanting Modern Bungalow in the Heart of Bend`s Westside. A long term rental. 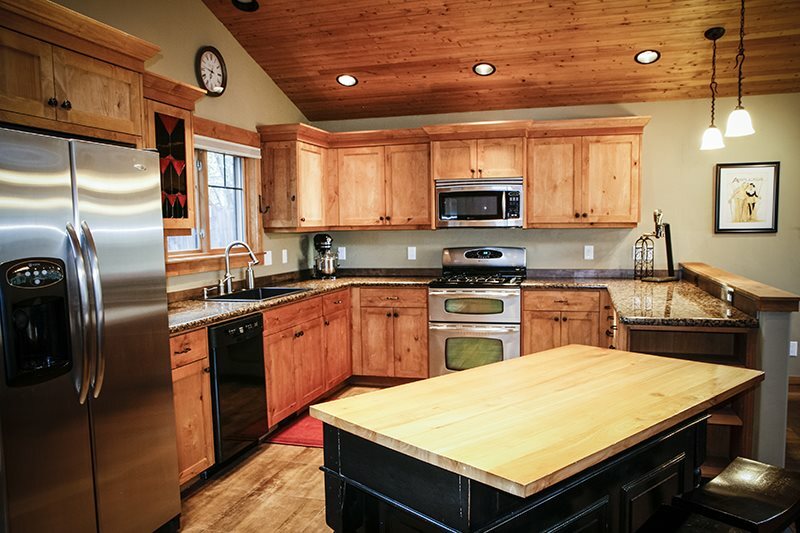 This completely modern 2 bedroom/2.5 bath home is full of classic Northwest craftsman details, including wrought iron light fixtures, granite counters, vaulted ceilings paneled in locally harvested pine, wood doors and details throughout. 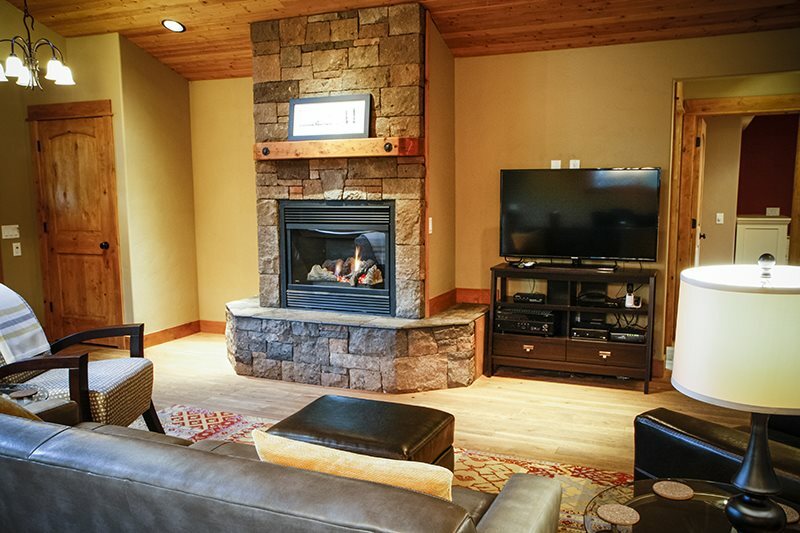 The open plan living area is filled with light and includes a gas fireplace and built in speakers. 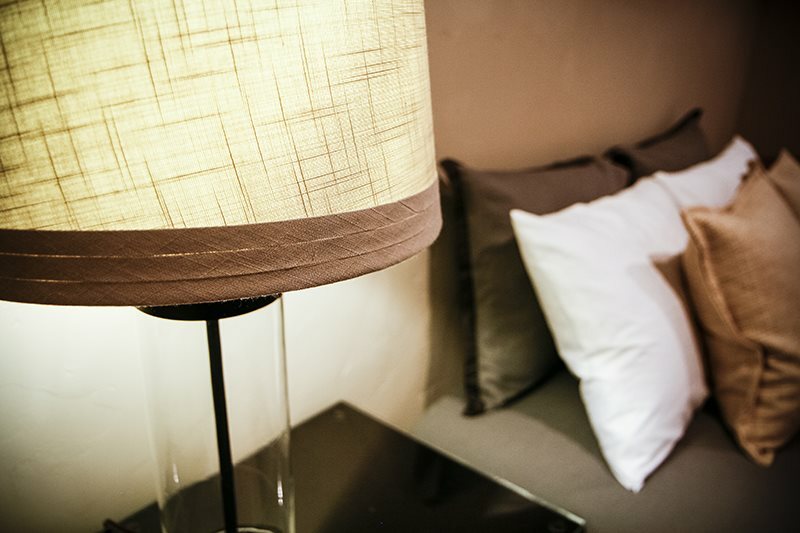 (Most of the rooms are wired with speakers, as well as outside!) There is an informal bar with seating, a formal dining area, a flat screen wall mounted TV, and leather couch and lounge chairs. The modern kitchen includes a gas range, dishwasher, custom lit wine cabinet, and granite counters. 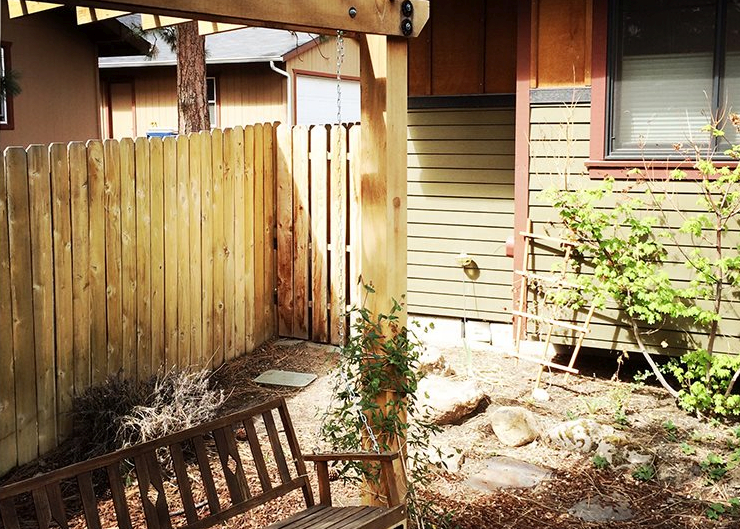 Off the kitchen is the back door with access to another fenced yard area. 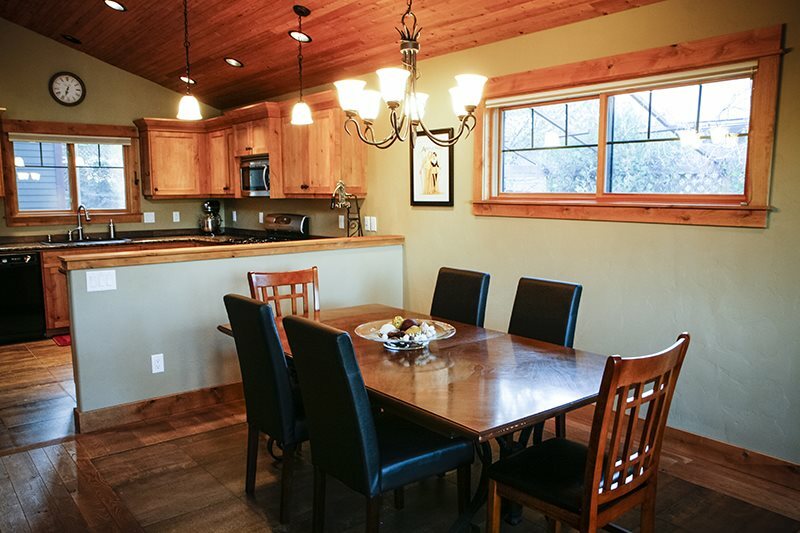 This completely modern 2 bedroom/2.5 bath home is full of classic Northwest craftsman details, including wrought iron light fixtures, granite counters, vaulted ceilings paneled in locally harvested pine, wood doors and details throughout. 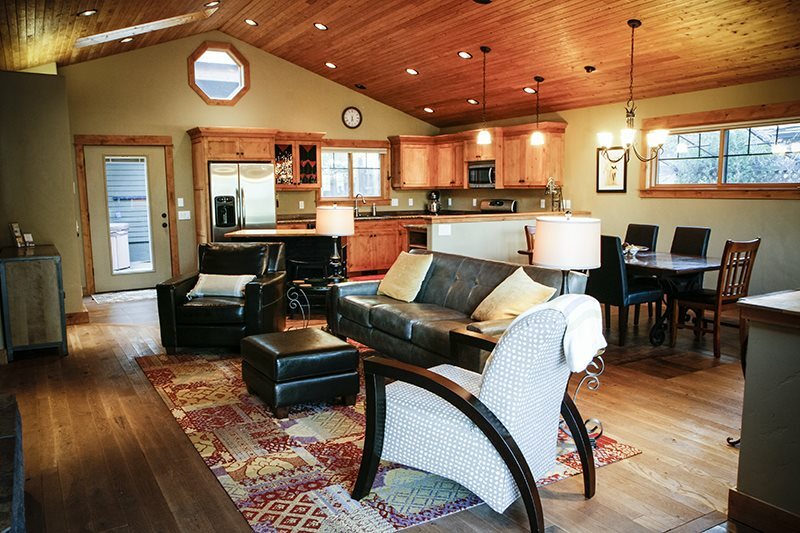 The open plan living area is filled with light and includes a gas fireplace and built in speakers. (Most of the rooms are wired with speakers, as well as outside!) There is an informal bar with seating, a formal dining area, a flat screen wall mounted TV, and leather couch and lounge chairs. The modern kitchen includes a gas range, dishwasher, custom lit wine cabinet, and granite counters. Off the kitchen is the back door with access to another fenced yard area. 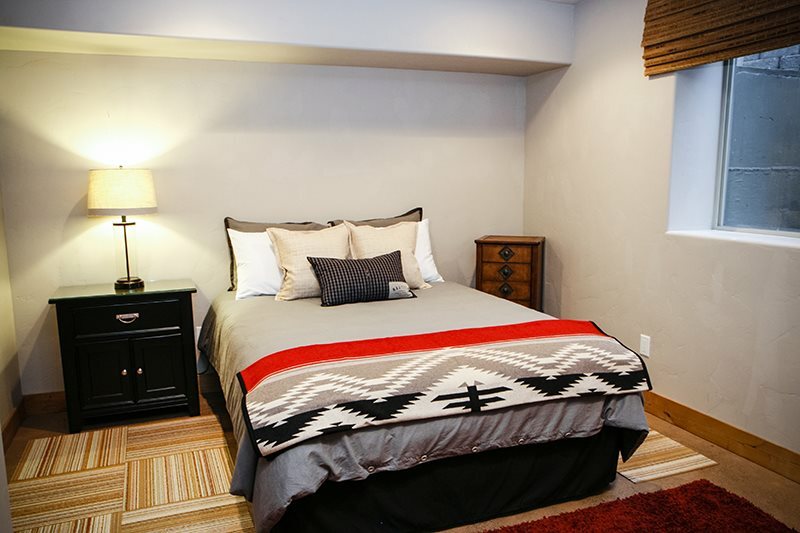 On the main floor you’ll find the master bedroom, which includes a king bed, gas insert fireplace, and built ins. There is also a dog door leading out into the enclosed back yard. 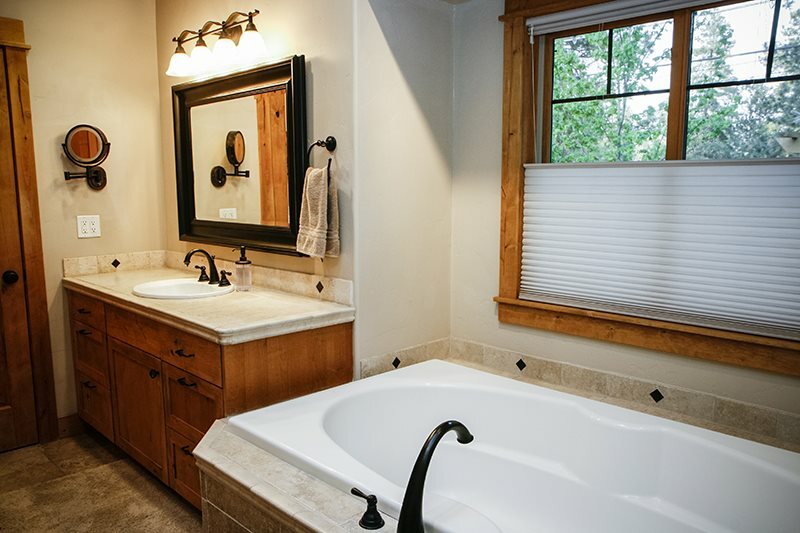 There is an adjacent master bath with custom shower and a luxurious separate tub. 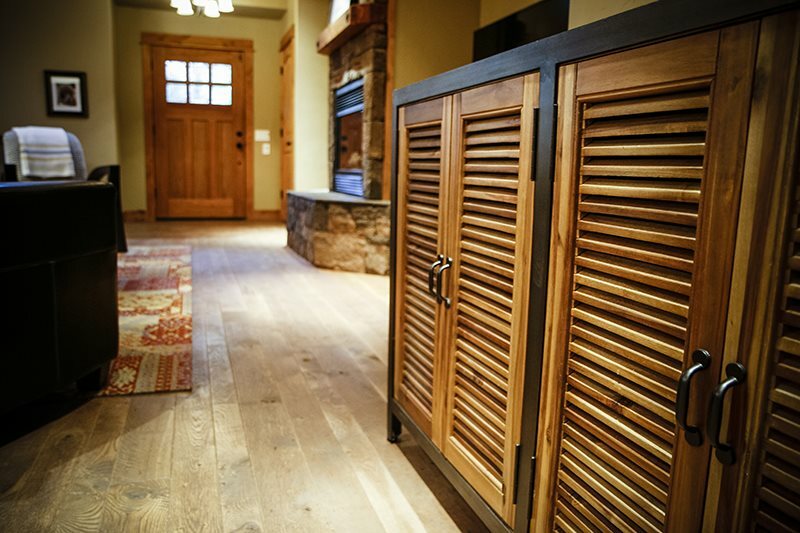 The laundry room and ample room for storage are off the hall leading to the master. 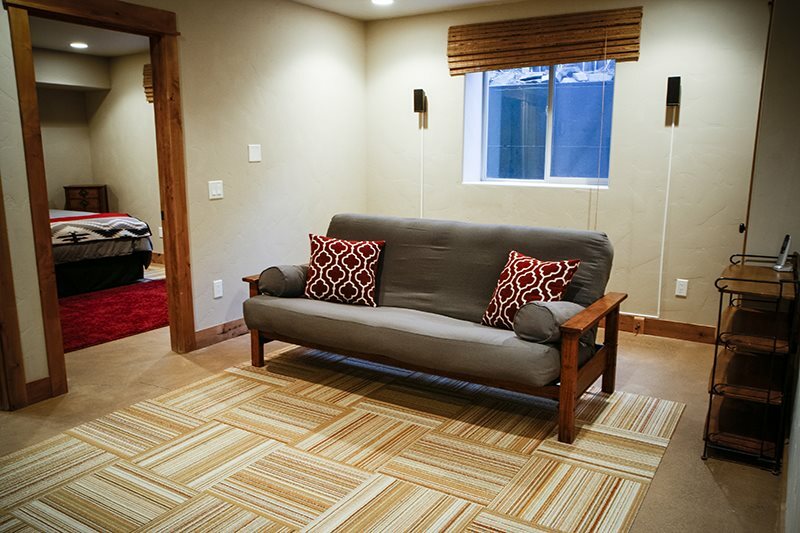 Downstairs is the home theatre with another wall mounted flat screen TV, futon and lounge chairs for extra guests, and the second full bedroom with queen bed. There is also a second full bath. 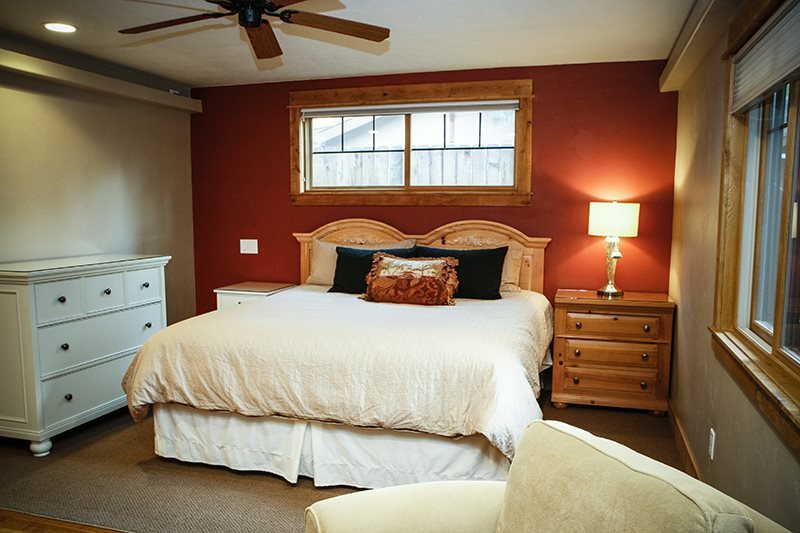 In addition the fireplace inserts Josie has central heat and a/c, Wifi, a gas bbq, and all the amenities of home. Josie is located directly across the street from the large fenced school yard for the Westside Village Magnet School, which is a off leash dog park during off hours. 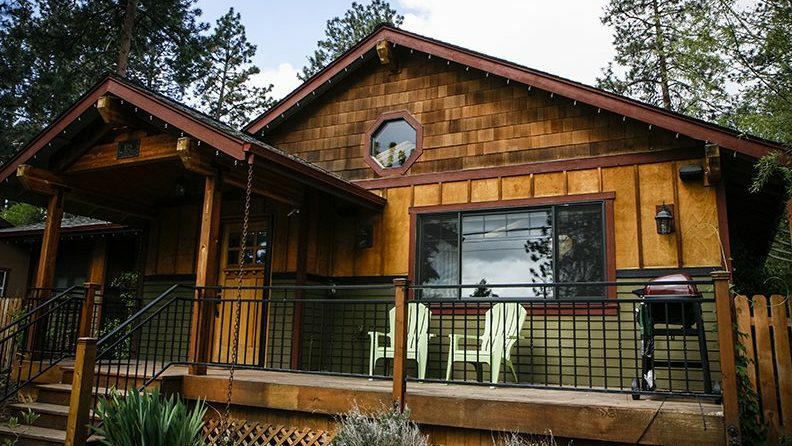 Providing quality vacation rental properties in Bend, Oregon – cleaned by quality employees, and providing quality customer and concierge service is what sets us apart from the rest.